Is Your Restaurant Marketing to the Right Target Audience? Home/Restaurant Marketing and Advertising/Marketing Ideas/Is Your Restaurant Marketing to the Right Target Audience? When marketing a restaurant, it can be a challenge to define your demographic and hone in on your target audience. Restaurant owners tend to focus too closely on who they want their customer to be instead of focusing on who is going to be their customer. This can be problematic because when you do not focus on your target audience, you often miss the mark when marketing your business. Marketing to the right demographic using the right channels can help bring more customers through your doors. But, how? We discuss ways to boost business by marketing to three common target audiences. According to Pew, millennials are part of the generation born between 1981 and 1996. Post-millennials are those born thereafter. This age group is currently 37 and younger, tech-savvy, and have some pretty serious spending power. According to Forbes, in 2017 millennials had $200 billion in spending power. In 2018, they have more buying power than any other generation. If your target audience is made up of millennials and post-millennials (think young career professionals and students), you need to market to them in a way that they’ll listen. It can be a challenge to cut through all the noise streaming through Airpods and the social content being scrolled through, but if you market start, you may just win a millennial over and turn them into a loyal customer. Let’s first discuss the younger portion of the millennials and post-millennials – those that are “students” either in high school or college. If your restaurant is located in a college town or near a high school, building an online presence is key. According to a study by Johnson & Wales University, 45% of college students spend 6-8 hours a day browsing social media sites. As a restaurateur, you have to use this to your advantage. Create social media accounts such as Twitter, Facebook, Snapchat, and Instagram for the restaurant. College and high school students are constantly scrolling through these social channels, so they’re a perfect outlet to target millennials. Social media is an easy way to get the word out about new dishes, happy hours or special events your restaurant is hosting. Consider running paid ads on social media as well to reach a more targeted audience. When doing paid advertising on social, define your target audience so you can reach this specific age group in your surrounding area. If your advertisement is relevant to them, they’re more likely to check you out online. But, millennials aren’t just young students. People well into their thirties are part of this generation as well. By this time, they’ve established a career and may even have families of their own. They’re still tech-savvy and active on social media, but most likely have different wants when dining out. Young families with young children are also excessively using the Internet to find dining options and deals for their families. Be sure to use social media platforms and publishing sites to your advantage. Parents are busy and they do not have time to open up a hundred different tabs and pages to figure out where to go. In this age group, convenience is key. Make finding a restaurant an easy step in their hectic day. According to the National Restaurant Association, nearly 6 out of 10 diners take into account a restaurant’s child-friendliness when choosing where to eat. Promoting your kids’ menu on social media or having a “kids eat free” night every Sunday are simple ways to market towards your target audience. Coupons and loyalty programs are other great tools to use with this demographic. App-based loyalty programs, like Belly, digitally give families an incentive to come back to your restaurant time and again. When it comes to interaction with your customer base, social media and review sites are great places to do so. 62% of millennials say that if a brand engages with them on social networks, they are more likely to become a loyal customer. College students and millennials want to be seen and heard, so make sure you are replying to their comments on social media and addressing concerns or issues in their reviews. They will appreciate that you took the time to respond and will feel like their voices were heard. Besides these platforms, you need to make sure your menu and business information are listed on sites like Google, Yelp, TripAdvisor, and Foursquare as well. Sites like these are places that college students and other young people are constantly searching to find new restaurants and places to eat. Make sure you are searchable, but on top of that, make sure any information a student could be looking for is readily available. Do you deliver? Are you BYOB? How late are you open? This is all essential information that people want to know before choosing to dine with you. Baby boomers were born between 1946 and 1964 and range in age from 72 to 54. They were a hugely influential generation and make up a large percentage of our overall population. The silent generation, also known as the greatest generation, came before them; that group is made up of people born between 1925 and 1945. They are currently 72 and older. Marketing tactics will be different for people in this age bracket than those that we’ve just discussed. If your restaurant is in a town of a dominantly older crowd, tactics used with college students and other millennials won’t be as effective. Tweeting and ‘checking in’ won’t attract the same buzz that it does with younger diners. This doesn’t mean you should ignore social media altogether; you just have to handle it differently. The millennial generation uses all social platforms interchangeably, while baby boomers and older diners primarily use Facebook. According to Forbes, baby boomers are 19% more likely to share content on Facebook than any other generation. 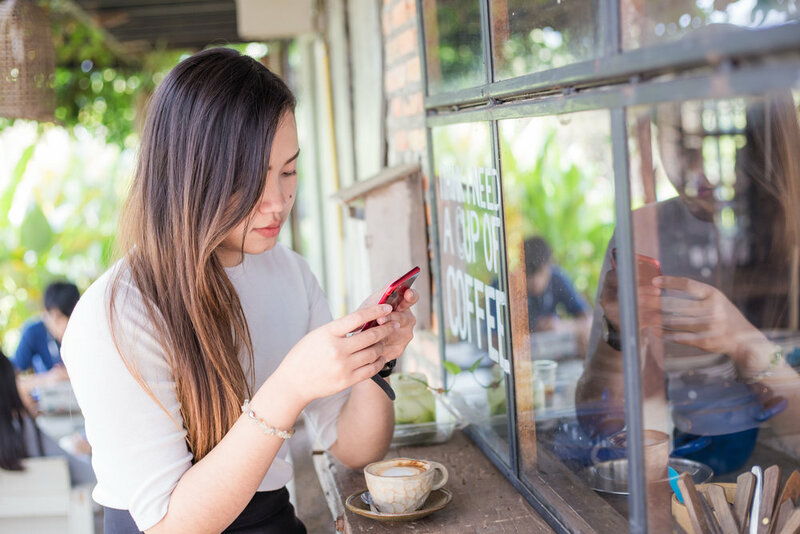 This means it is imperative that your restaurant has a strong Facebook presence to create a buzz and keep customers informed about current happenings. Update your followers on daily specials, happy hours, and weekly events. If your customer base knows what type of entertainment and deals you’re offering, they’ll be more likely to dine with you if something catches their eye. Baby boomers also aren’t as attached to their phones as younger people are. Pew Research finds that 94% of people 18-29 own smartphones, while 73% of 50-64 year-olds do. When it comes to 65+, the amount of smartphone users drops to 46%. So, running paid advertising on social channels will not be as effective when targeting an older demographic. However, since Facebook is the most popular among that crowd, you can try Facebook paid advertising as a tactic. Despite not being as active socially, this generation of diners is still viewing menus online (93% of all people are, remember?) They’ll appreciate the fact that you’re putting your essential business information and your menu online across search engines and travel and review sites. Although this generation may be more inclined to give you a call to make a reservation instead of using OpenTable or Resy, they’re still doing their research to find the best spot to eat online before dialing your phone number. 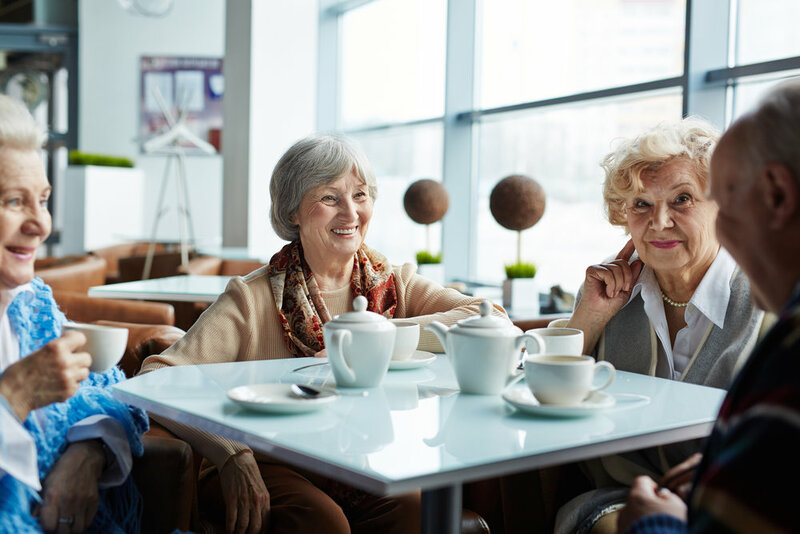 Instead of being social-focused in your marketing efforts, local radio and newspaper and magazine ads and flyers are ways that can help market your business to older diners. Although older generations aren’t on their phones as much, they still use other devices like desktops and tablets. Local news websites can be great opportunities for advertising. Running specials and events that are specifically targeted to your audience is also important. Early bird specials and senior citizen discounts are examples of promotions you should be running when targeting this demographic. Loyalty programs, like punch cards, can also work well. Consider hosting events at your restaurant that can become weekly or monthly traditions. Canasta and Bingo nights are great ways to get customers in the door to enjoy good food and good company. Live music offering popular “oldies” tunes can also be of interest to baby boomers looking for a social night out. If you truly have a mixture of demographics that dine with you, first focus your marketing efforts on the largest crowd. But, don’t leave the others out. Implement a mixture of the strategies we discussed above so you can reach different audiences with different tactics. 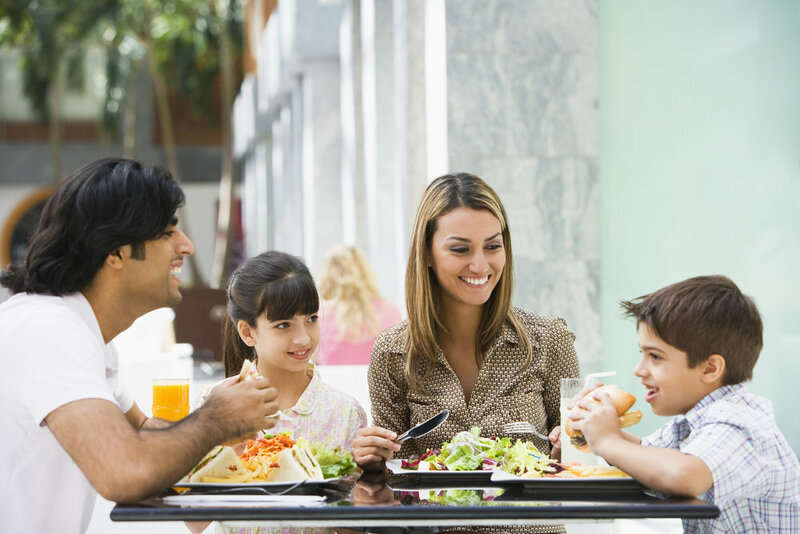 Demographics play a huge role when it comes to marketing your restaurant smartly. Understanding your target audience can help you market more effectively in order to bring in new business. Conversely, marketing towards the wrong audience can be a waste of time and money. Instagram posts and tweets are not going to have the same effect on the older generation as millennials, just like how promoting a kids menu is going to attract young families instead of college students. Focus on the demographic that is your largest customer base and use the proper marketing tools and techniques to stand out to your target audience.